White House press secretary Sarah Huckabee Sanders accused Democratic lawmakers of walking away from a potential deal to end a partial government shutdown, in a Thursday afternoon statement. The White House demands, however, are increasingly complicated by Democratic indications that they will not compromise on wall funding. 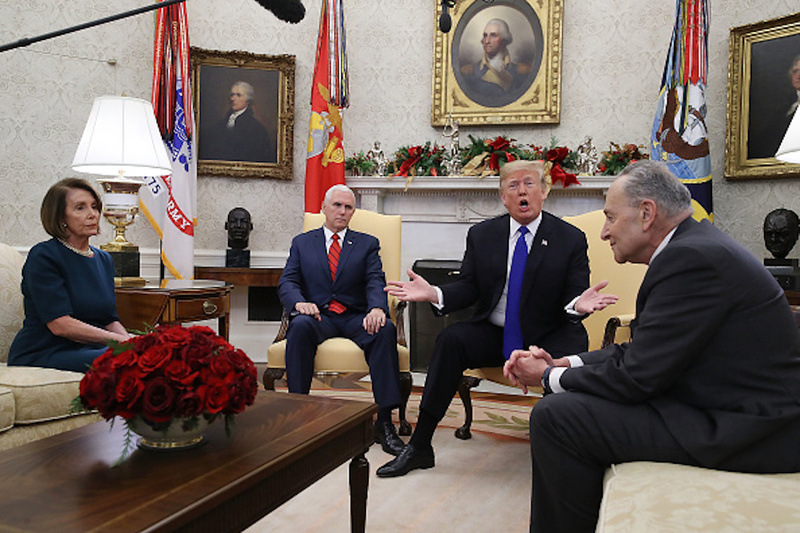 Democratic leaders Nancy Pelosi and Chuck Schumer have vowed they will not appropriate a single dollar toward the border wall. Democrats are set to take over the House of Representatives on Jan. 3, making any potential deal to end the partial government shutdown much more difficult. House Speaker-designate Pelosi vowed shortly after the partial government shutdown that when she assumed her speakership of the House, Democrats would put forth legislation attempting to open the government without any of the president’s demands. Complicating matters further is the lack of urgency brought upon by a partial government shutdown. Approximately 75 percent of the federal government remains open, minimizing the effect of the shutdown on the daily lives of Americans. The lack of political urgency generated by the partial shutdown could prolong it past the day of the Democratic House takeover.